North Drive is a developer who has a long and treasured history in the land development industry. Their lifelong experience has taught them the value of community, and because of this they endeavour to build projects that integrate and enhance neighbourhoods. This adherence to community has a foundation in their family history, as the co-owners have been surrounded by land development their entire lives. The co-owners are taking their roots and growing towards a bright and prosperous new future. The co-owners represent a union of the Fidani and Morassutti families. Two of the owners are brothers, with the third being like a brother. This union’s commitment to neighbourhood is even evident in their company’s title, as it is named after the street on which they grew up. One of this developer’s guiding principles is the idea of neighbourhood. This is why they build projects that manage to become landmarks in their prospective regions, but also blend harmoniously in with their surroundings. They also understand that neighbourhoods aren’t just created by constructing developments, they’re created by the people that inhabit them. People are the lifeblood of any neighbourhood, so this developer finds the best communities in Toronto so their residents can integrate with existing and thriving communities. North Drive is a contemporary builder, but the Fidani and Morassutti families have foundations in land development that extend for generations. They started as bricklayers, but their culmination of work has resulted in more than 75 million square feet of developed projects that include industrial, office, retail, and multi-residential developments. It should be evident that these co-owners have land development coursing through its veins. These roots have resulted in an unwavering dedication to craftsmanship, integrity, and attention to detail. Although they are proud of their storied past, this developer is looking towards the future with their developments. 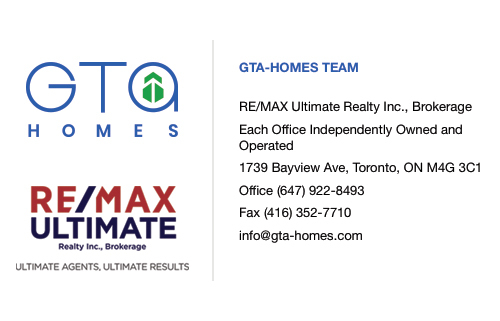 Their primary goal is to build boutique condos in some of the most sought after neighbourhoods in the Greater Toronto Area. In order to accomplish this, they have recruited the best architects in the world to design distinctive and ambitious projects. This results in spellbinding, contextually responsive, and transit-oriented homes that are the delight to all of their residents. This developer also makes sure these developments are built in a socially and environmentally friendly manner, so they can responsibly participate in urban intensification projects. North Drive’s efforts to build some of the best housing in the GTA has definitely received notice. The real estate community has recognized their work, and they have become an award winning developer. They were awarded the Most Outstanding High-Rise Building at the 2016 OHBA Awards, Best Luxury Suite Design at the 2016 BILD Awards, Best Model Suite at the 2014 BILD Awards, and the Best Model Suite at the 2014 A'Design Awards. These awards reflect this developer’s commitment to quality and design as they continuously strive to push the envelope in each one of their projects. These co-owners have been around land-development their entire lives. This translates to an innate understanding of the industry, and also what it takes to build successful neighbourhoods. 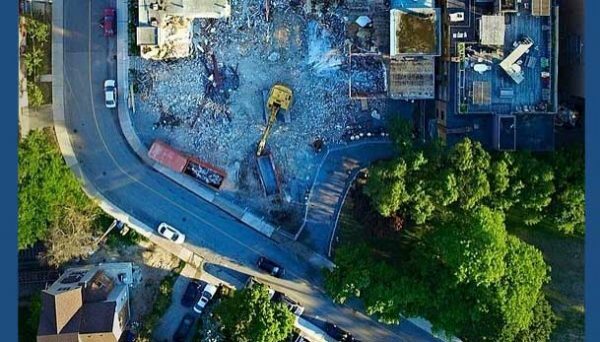 They now look to transcend their roots and build boutique condos that will become some of the most enviable properties in the city. Only time will tell what architectural marvels they have in store. These condos are almost too good to be true. 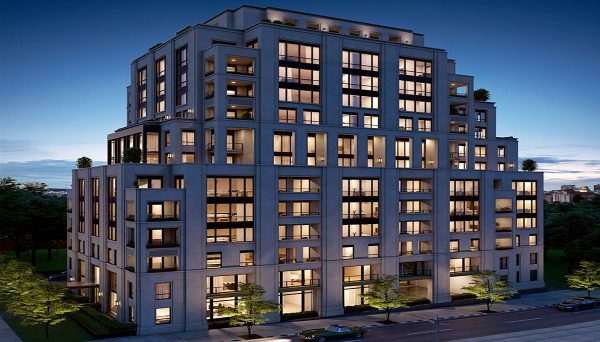 This high-rise is eponymously located on the fringes of Toronto’s largest greenspace - High Park. The park itself offers unique opportunities for prospective residents as each season presents new landscapes to explore. See the cherry blossoms in the spring, or the pristine wonderland of untouched snow in the wintertime. In addition to High Park, these condos are also situated seconds away from the High Park Subway Station, as well as some great eateries and bars. Schools are also handy, so this could be a great location for young families. The units are equipped with architecturally designed baseboards, doorframes and casings, as well as custom designed chrome door handles and hardware. The kitchens are outfitted with custom cabinetry, granite countertops, and an integrated dishwasher. Amenities include a lounge, exercise room, and dining area. 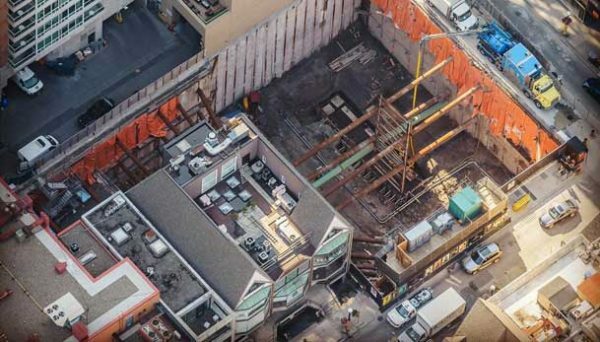 It was completed in 2017, and it is located at 1880 Bloor Street West.